Kuntillet `Ajrud is the modern name of an archaeological site in the northeastern portion of the Sinai Peninsula, nearly 50 km (about 31 miles) south of Kadesh Barnea, in Judean territory for that time. The datings of this site are from the end of the 9th century BCE and the beginning of the 8th. 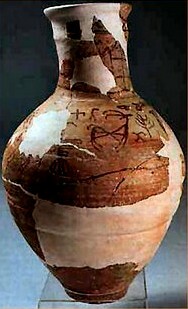 The site was excavated by Ze’ev Meshel and a team from the Institute of Archaeology of Tel Aviv University in 1975-76. The building is at a crossroads of trade routes, some liken it to a fortress, though this building does not represent the known fortresses from the eleventh and tenth centuries BCE. It is also believed by some scholars to be a shrine, due to the images, prayers and inscriptions, yet it lacks the typical cult vessels of most shrines. The bulk of the pottery found was of Judean origin, though some of the smaller pieces were from Israel (the northern kingdom at that time, according to the Tanak / Bible). 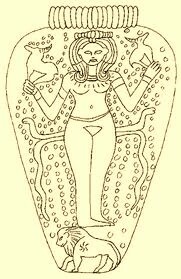 The deities mentioned are YHWH, Baal, El and Asherah (Ashrth). The main building that was excavated contained numerous paintings and inscriptions on the walls, doorposts and on pithoi shards. The iconography represented in the art work is a Phoenician / Syrian style, by a number of different artists. The scripts represented are those of Phoenician and/or Early Hebrew. Hebrew script descended from the Phoenician and some scholars say that you cant differentiate between the Phoenician and Early Hebrew. Inscriptions are represented by the English transliterations of the Phoenician / Early Hebrew letters. Periods represent the separations between words that were not yet written into texts and inscriptions. “…” represents missing letters and [ ] represent letters that the scholars are confident would be there, based on known words or names in the context of the inscription. The acute “`” represents the letter r (ayin) and the apostrophe “’” represents the letter ` (alef). Please notice that the acute looks like a backwards apostrophe. 1. Below is the first inscription from Pithos A, which is located above the heads and overlaps the crown of the “Bes” figures. …‘MR. ‘…H…K. ‘MR. LYHL[l’l] WLYW`SH. W…BRKTh. ‘TKM. LYHWH. ShMRN. WL’ShrTh. Translation: …says, say to Yehallelel and to Yoash and…I bless you by YHWH Shomron (Samaria) and by Ashrth (Asherah). 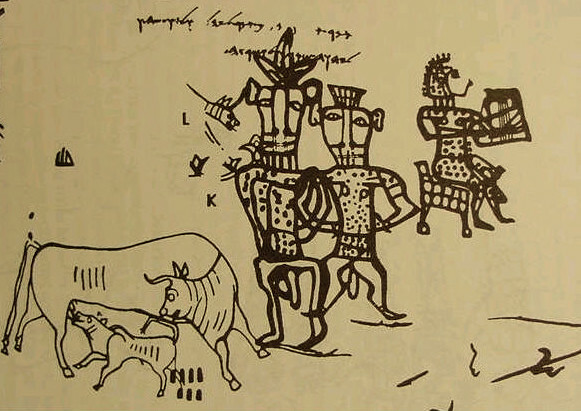 Most scholars, especially those that consider themselves biblical archaeologists, explain this inscription as Yahweh and his consort Asherah, yet biblical archaeologists have an agenda to find evidence to back up the literalness of the bible and ignore anything that does not fit within that box or try to explain it in the least damaging way. The image might help to better explain what is going on with the inscription. 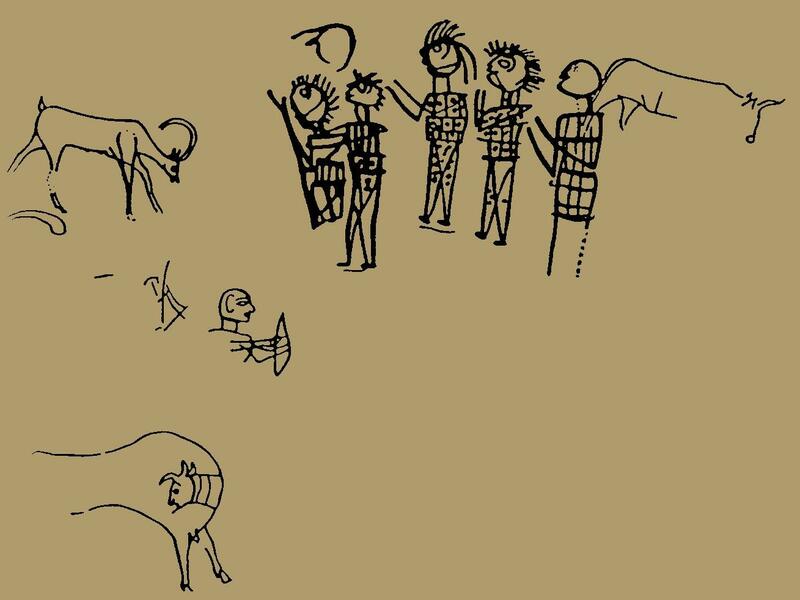 First, you see a cow with a suckling calf, which is a common representation of the mother goddesses in several cultures, representing her fertility and nurturing. 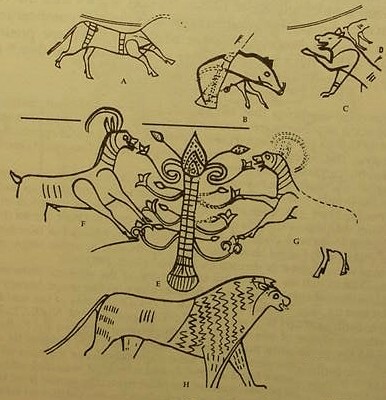 The middle figures are of the later Egyptian god Bes (Bisu), who was an apotropaic figure, meaning that Bes warded off evil, protected households, especially mothers and children, which you see represented by the cow and the suckling calf. Originally Bes was strictly for the protection of the Pharaoh’s and as the popularity grew, was adopted by the masses. Even later, Bes came to represent pleasure and had a wife Beset. Some scholars believe that the oldest representations of Bes were that of a lion rearing on its hind legs, which explains the mane around the face and the hide, which came to be later represented as a squatting being with a crown, beard and lion/leopard skin clothing. 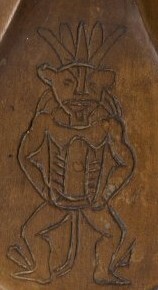 The first Bes figure is male and the second, Beset, has the breasts of a female, showing the pair together, wearing their skin clothing, with the tails hanging between their legs. 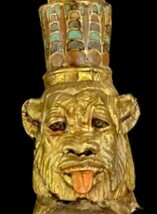 Below are three figures of Bes, showing the lion characteristics, before they made him a dwarf. The first is from a headrest from 1200 BCE, the second is from a cosmetic spoon dated to 1300 BCE and the third is from a cart for Tutankhamun about 1320 BCE. You can clearly see the mane, ears and tail between his leg. The third figure to the right, on Pithos A, is female, sitting on a feline throne, based on the claw feet and spotted covering. Some scholars suggest that she is simply a musician, but a musician would not be depicted on a lion throne chair, a sign of royalty. 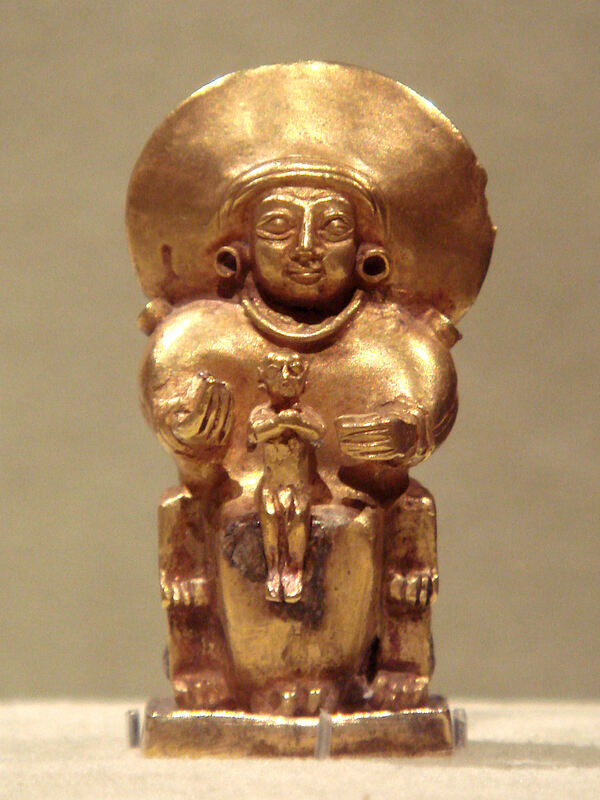 Cultic artists took the standing form of the goddess who was shown with either two great cats at her side, or standing on the back of one, then eventually set her on a throne. 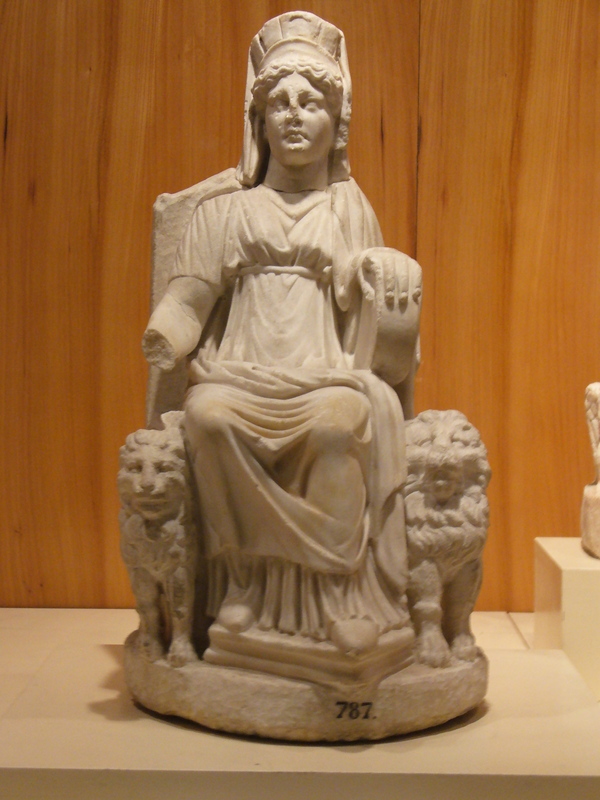 Goddess thrones typically depict great cats on the sides of the thrones, then eventually heads on or by the arms and finally a chair with the feet and skin of a great cat. 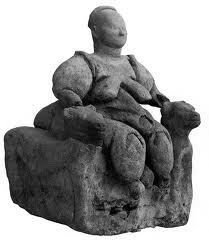 The images below are of the Anatolian Kybele, the mother from Catal Huyuk and Arinna of the Hittites. 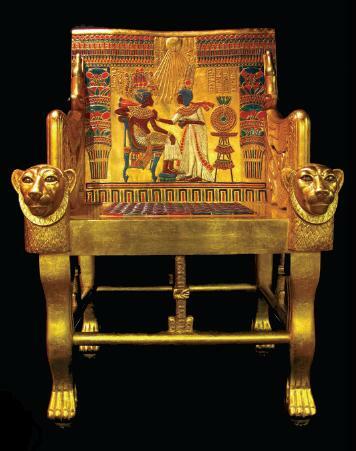 The final throne image is that of Tutankhamun’s, elaborately made of gold, instead of covered with the animal skin depicted on the pithoi shard. But, it does show the elements of the original great cats that simply became represented in the furniture with the claw feet. The image on the other side of Pithoi A is below. 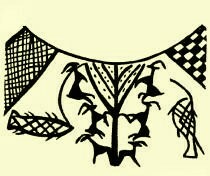 You see the Tree of Life, a representation of the mother goddess that feeds and sustains life. 3. The third inscription from Kuntillet Ajrud that deals with YHWH and AShRTh is not on another pithoi, but is on plaster fragments that were originally on the walls of the entry way and door posts and fell to the floor. This is similar to the biblical injunction to write the commandments on the doorposts of the houses and on the gates – HaDebariym [Deuteronomy] 6:9. The translation of the fragment is greatly varied by scholars, partially due to the fragmentation and missing letters, but it basically amounts to a blessing of long days and being satisfied, YHWH doing good to them. Translation: they will or let them give to …AShRTh. Now, you may be asking, especially if you have seen any papers or books written up on the subject, or online sources, why do I translate it as, “by YHWH and by Asherah”, instead of the ever popular, by YHWH and HIS Asherah? That is because there is no linguistic reason for the HIS. There is no pronominal suffix showing possession for either his (e) or hers / its (d) at the end of AShRTh. 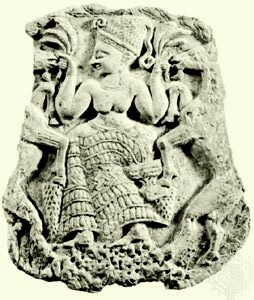 Biblical archaeologists don’t want to admit to a goddess Asherah being worshipped, much less alongside YHWH or as his consort, as in other religions. Other archaeologists are trying to fit this into a patriarchal and sometimes monotheistic box, so if they say, “and by his asherah”, they can make it an object, such as a wooden pole, which is how they explain the Asherah in the temple of YHWH in the Tanak/Bible. But the Hebrew clearly is written L (by or of) YHWH and L (by or of) Ashrth (Asherah). There is no “his” or “its” involved here. Below are several examples of multiple deities being listed in a blessing, which is common when you have syncretism or consorts. In these cases, they do not translate the second “L” before the second gods name as being a possessive of the first god mentioned in the blessing. In an Aramaic Elephantine Papyrus, from the 5th century BCE, “BRKThK LYHH WLKhN (M) – I bless you by YHH (an Elephantine variant of YHW/Yahu) and by Khnum.” Khnum was the other major deity, of Egyptian origina, in Elephantine, a Jewish settlement city. As more examples come across my path, I will add them here for comparison. I have three interlibrary loans on the ancient texts in Aramaic and Phoenician that I will glean and see if there are more. So why do translators translate these passages as, “by… and by…” instead of the way they have translated the inscriptions concerning YHWH and Asherah? Why the double standard? Do they feel that YHWH needs protecting or the patriarchal priesthood religion perhaps? There are more questions that these inscriptions raise. For further comparison, please see the inscription from the Khirbet el-Qom Tomb.